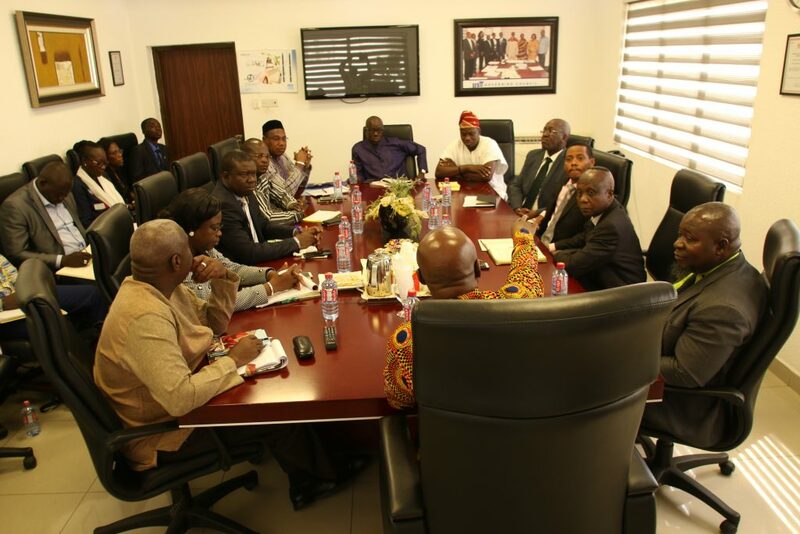 A ten-member delegation of the National Assembly of the Republic of Burkina Faso has called on the Institute for Fiscal Studies IFS to gather first-hand knowledge and best practices in Ghana. 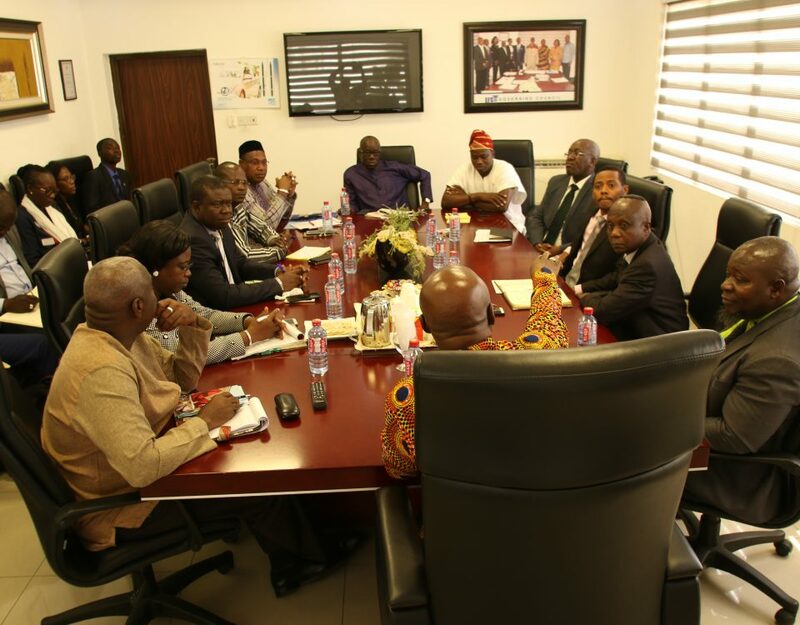 The purpose of the visit was to deepen the understanding of the delegation on the role civil society organizations play in ensuring effective monitoring and assessment of Ministries, Departments, and Agencies in Ghana. Professor Newman Kusi, Executive Director of IFS in his welcome address to the delegation explained IFS’ work in promoting a better understanding of the Ghanaian economy and government finances in particular for the benefit of the government, parliamentarians, the business community, and civil society. He emphasized the objectivity and independence of the institute in providing economic policy advice and advocacy based on practical experience and insights developed through quality research and analysis. 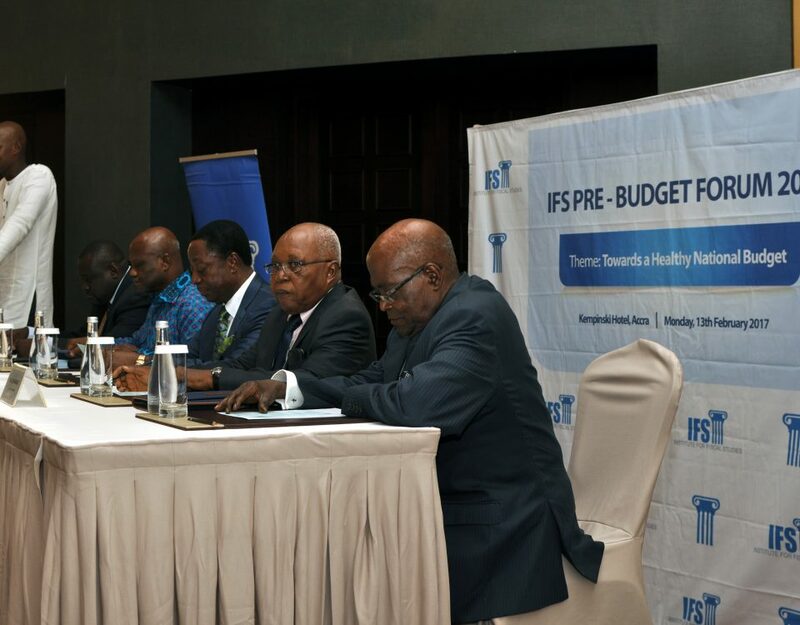 1.0 Introduction The Institute for Fiscal Studies, IFS, held its annual Pre-Budget Forum for 2017 at the Kempinski Hotel in Accra on Monday, 13th February 2017 under the theme: “Towards a Healthy National Budget”. The forum was attended by about 100 participants from diverse stakeholder organizations. 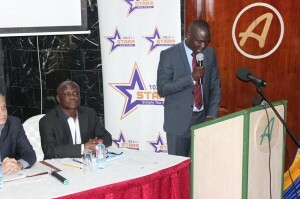 These included: Members of the Finance Committee of Parliament; representatives of Ministries, Departments and Agencies; World Bank, IMF, USAID and other development partner organizations; Bank of Ghana; High Commissions and Embassies; Civil Society Organizations; the business community; and other stakeholder groups. Seated at the high table were Hon. Dr. Kwabena Duffuor, the Founder and President of the IFS and a former Governor of Bank of Ghana, as well as a former Finance Minister; Mr Alex Ashiagbor, Chairman of IFS Governing Council and a former Governor of the Bank of Ghana; Prof. S.K.B. Asante, a member of the IFS Governing Council; Hon. Dr. Assibey-Yeboah, Chairman of the Finance Committee of Ghana’s Parliament; and Prof Newman Kusi, Executive Director of the IFS. Prof Kusi, who chaired the function, delivered a keynote and welcome address to open the forum, after which two presentations were delivered to set the stage for discussions. The program was moderated by Bernard Naasara Saibu, a broadcast journalist with Starr FM. 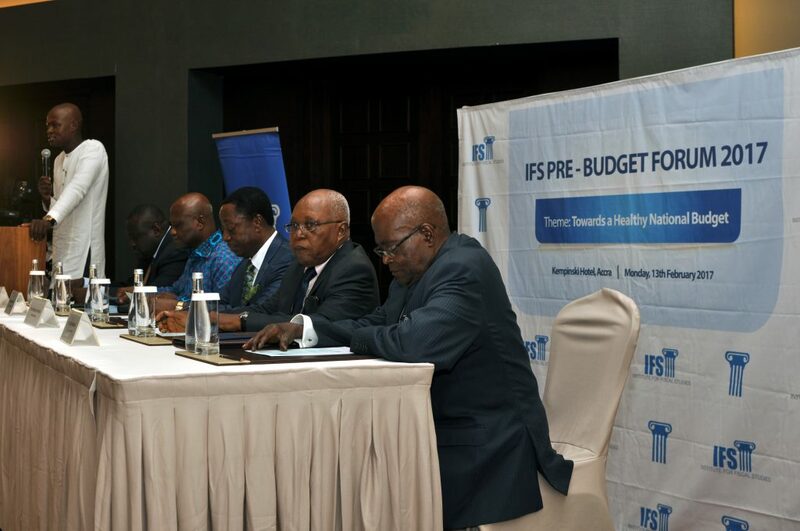 The Institute for Fiscal Studies (IFS) and the National Resource Governance Institute (NRGI) jointly hosted a forum on the 2016 budget on November 5 at the Alisa Hotel in Accra. The theme for the forum was: Making the Most of Petroleum Revenues. Nana Frimpong Anokye, Omanhene of the Agona Traditional Area and a Member of the Governing Council of IFS, chaired the event, which also had in attendance Mr. Alex Ashiagbor, the Governing Council Chairman, and Dr. Kwabena Duffuor, Founder of IFS. 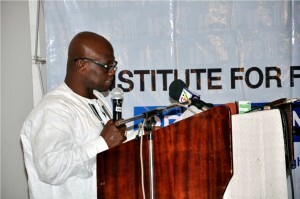 In an opening address to the forum, Mr. Alex Ashiagbor said the main idea for the event was to examine the challenges and risks confronting the 2016 budget, what should be expected in light of the challenges and risks, and how natural resource revenues could be better managed to contribute to the sustainable growth and development of Ghana’s economy.